American Wilds is available today! 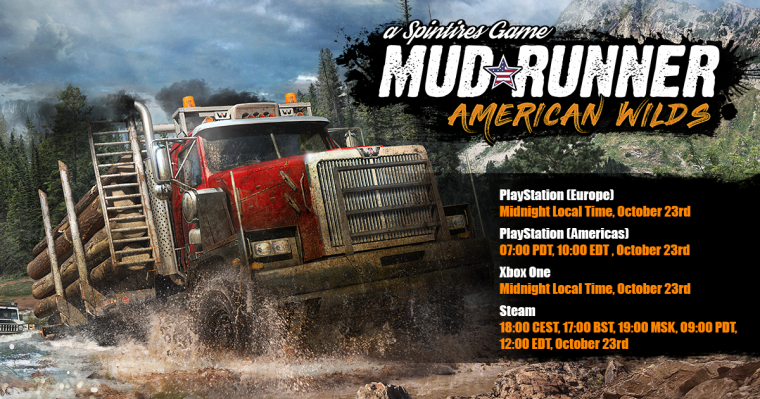 Get to grips with Mudrunner’s American Wilds Launch Trailer – nine new vehicles, two new maps, and much more arrive today! Indie hit MudRunner gets even better today with the American Wilds expansion available on PC, PS4, and Xbox One - Switch version November 27. Watch the American Wilds Launch Trailer and see the much-requested features it brings: the household brands of Ford, Chevrolet, and Western Star, plus maps based on the rough terrain of the United States of America, adding to Mudrunner’s unique gameplay. All of this is available in the new expansion, or as a stand-alone Edition which collects the base game, the expansion, and all the DLC released so far together in one package. Overcome muddy terrain, raging rivers, and other obstacles that realistically react to the weight and movement of your vehicle, powered by the game's advanced physics engine. 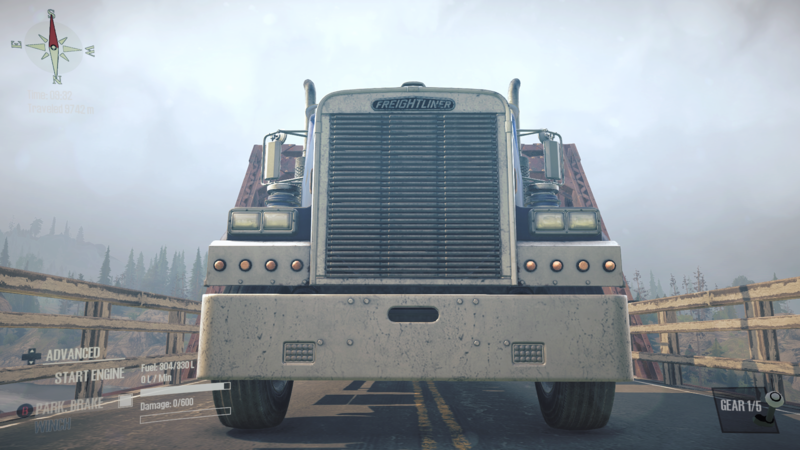 American Wilds brings, for the first time, well-known vehicles such as the Ford F-150, the Chevrolet K5 Blazer, and GM’s iconic Hummer, among others. This increases the total amount of available content to 33 vehicles and upwards of 60 add-ons, all playable solo or with up to three others in co-op multiplayer. On PC they join hundreds of mods created by the passionate Mudrunner community for an ever-evolving experience. Also added to the roster are two sandbox maps inspired by Montana, North Dakota, and Minnesota. They are Mount Logmore and Grizzly Creek and come with a pair of new challenges for crane operation and flatbed delivery. What time? as it's not available yet..
Its well past 7 am here on the west coast and still nothing is available why? Quite a lot soviet trucks in American Wilds trailer. Does it reflect real situation on american logging sites? Don't get your tights in a twist... @Sodoma is a moderator, not an employee. He can't provide you with any information unless specifically handed down first for some odd reason. Congratulations @duramax-daddy for being the most ridiculous thing on the internet until further notice. Yes! But south america or mexica! Usa market is almost totally closed, you cant (cant!) see there any european models, only if made IN america, special for usa models. All specs and requirements are drastically different from europe, russia, asia and other world. Anybody else while driving on the new maps notice the road signs are just falling into the ground or is that just me? Yes it’s also here the problem. Do you use Mudrunner+ Mod ? @alpscruiser yes i do , the 1.7.9, is that the problem?